Wait, so how worried should we be about North Korea's missiles? One of Donald Trump’s favorite things to do on Twitter is talk sh*t to North Korea’s dictatorial leader, Kim Jong-Un. It’s a little scary, since it’s hard to figure how just how worried we should be about North Korea’s nuclear missiles. When you’re dealing with small men with huge egos such as Trump and Kim Jong-Un, it’s not easy to break down how much is exaggeration and what’s real. But when you’re talking about nuclear missiles, it’s probably best to err on the safe side, right? 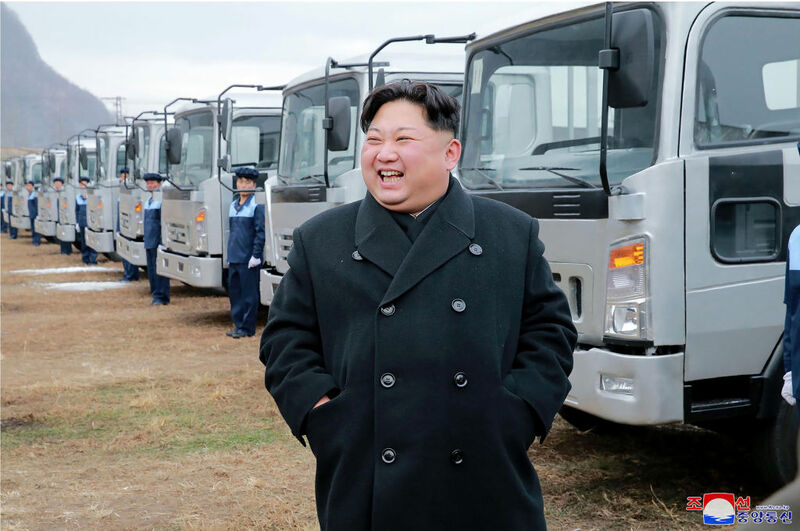 "After watching the successful launch of the new type ICBM Hwasong-15, Kim Jong Un declared with pride that now we have finally realized the great historic cause of completing the state nuclear force, the cause of building a rocket power." The missile flew for almost an hour at a height ten times higher than the International Space Station. Experts reported that if the missile had flown at a lower trajectory, it could have eventually reached Washington, D.C., which on its face, is pretty alarming. It’s easy to mock Kim Jong-Un and Trump from afar. On so many levels, it’s really hard to wrap your mind around the idea of a nuclear missile actually landing on American soil all because Trump said something nasty in a tweet or something. But it’s worth keeping an eye on. The missile that North Korea flew this week did not have the capability to carry a nuclear weapon, but experts think that that’s not far off if they keep working on them. So it’s not something that the entire world is ignoring, though it’s hard to not imagine the North Korean dictator throwing himself a little party today after getting everyone’s attention. The goal for the U.N. and the U.S. is to get North Korea to slow their roll and chill out with the nuclear development and test launches. And to get to a place where the U.S. doesn’t consider some pre-emptive strike just to show that we could. Going straight to nuclear war is so *extra*, and as much as we like to joke that we’re ready for the world to just end somedays, we obviously don’t really mean it. Truthfully, we’d be terrible at post-apocalyptic foraging, too, so it would be just great if everyone could put their nukes away and stop trying to prove something. 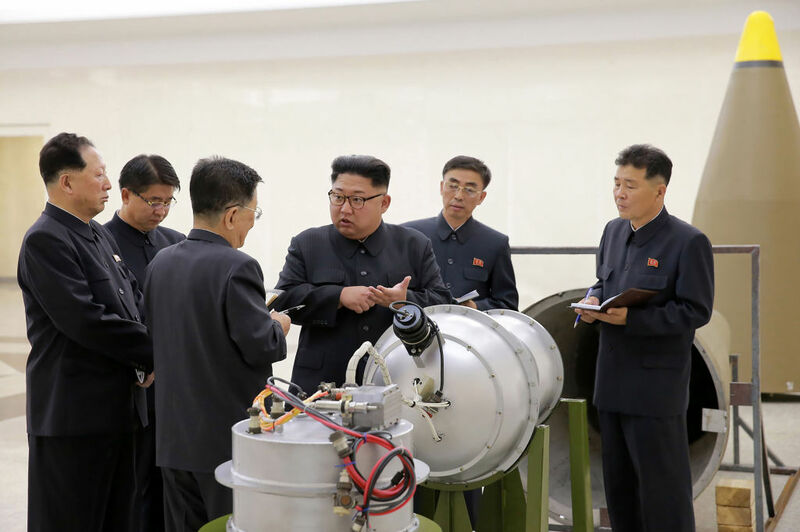 It had been a few months since Pyongyang tested a nuclear missile, but just last week, the Trump administration added them to a list of countries that support terrorism, which means that we can place economic and trade sanctions on them. 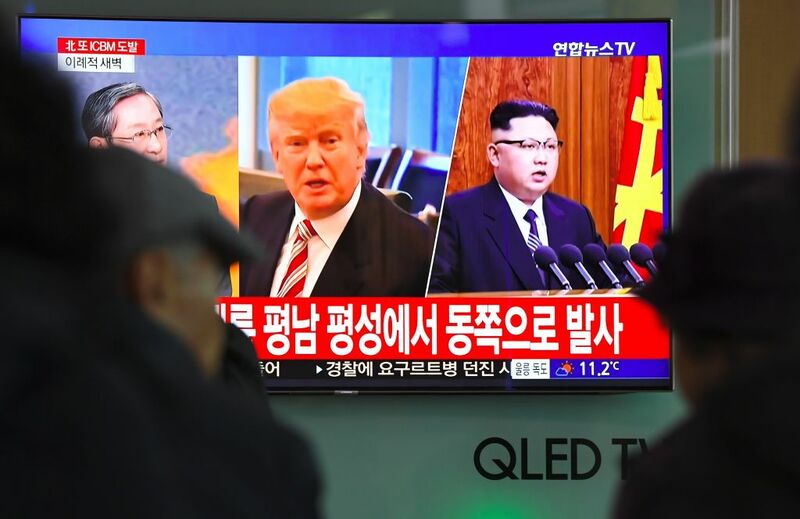 Trump, as well as previous administrations, would also like China — the one ally that North Korea has — to talk some sense into the small, isolated country, and maybe even impose an oil embargo to get them to stop playing around with nuclear weapons. He added that the U.S. still “has a long list of additional potential sanctions, some of which involve potential financial institutions, and the Treasury Department will be announcing those when they’re ready to roll those out.” In addition to that, he said that America would “enhance” maritime security, and take measures to make sure U.S. forces could interrupt any maritime traffic to and from North Korea. So, for example, they could spot a ship trying to get a little closer to launch a missile or something. Which just totally undermines any adult effort to negotiate with foreign leaders and their representatives. Like, it’s one thing to mumble that under your breath on Air Force One. We’ve all watched enough Veep to assume that that kinda thing happens, but to actually tweet it is different. He’s solidly egging this guy on. Earlier this month, Kim Jong-Un and Trump got into a name-calling game, too. On one level, you can only laugh that the literal fate of most of the world depends on these two buffoons and hope that someone, somewhere can disarm them. We wouldn’t recommend wasting any of your time or energy fretting about North Korea’s missiles, but you can vote and worry about what’s going on in Congress, which has a say in what the president will do, and the messages the White House is sending to the world. Because right now, they’re not doing a very good job.